There are lots of different types of long jump runway equipment, all of which are key in ensuring the longevity and quality of the facility remains intact throughout its life. 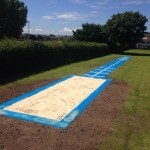 The first piece of long jump runway equipment you need is a sand pit cover; this will ensure that sand pit does not get filled with any contaminants such as twigs and leaves, or anything that could cause potential harm to the athletes using it. Another key part of long jump runway equipment is the sand pit rake, the rake helps keep the surface of the sand smooth, allowing for easier recording of distances and scores for competitions. The sand pit rakes also ensure that objects in the sand which could cause damage to people landing into the pit are removed, making the surface a lot safer to use for athletes and children. A key part of long jump runway equipment is the take-off board, without it you can’t distinguish where to start the measurements or whether or not anyone has cheated, meaning the facility can’t be used professionally without one. We also offer line marking repair kits, this ensures that if any of the lines on the take-off board become faded and hard to read, you can easily rectify the problem. 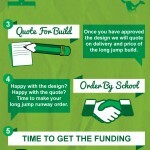 There are many types of long jump runway equipment, all of which are essential for the facility to work. Costs of long jump equipment are an essential part of the costs of the facility as a whole, as without majority of the equipment, the facility will become worn down quickly, or it wouldn’t be useable at all. The most important piece of equipment is the take-off board, as the surface wouldn’t be able to be used competitively without it due to not knowing where to measure from. 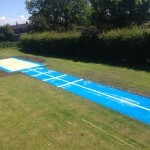 Costs of the sand pit cover will vary depending on the size of the sheet; this will vary for each organisation as the sand pit can be different sizes. 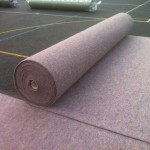 You can also get different specifications of sand pits such as the wheel away cover which is perfect for professional and competitive athletics clubs as they offer much more security, but would tend to be outside the budget of a school or leisure centre. We aim to offer the best quality products and services at the best price to ensure that we help each customer stay within their budget but still offer a great value job. Please fill in our contact form to speak to an expert today and get more information on the equipment we supply.